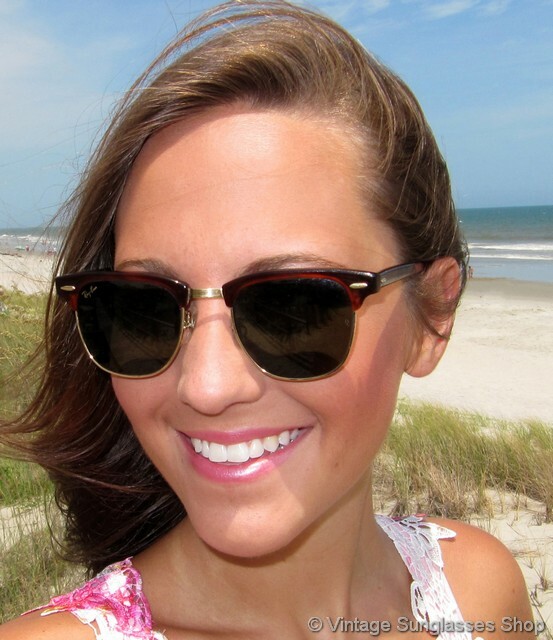 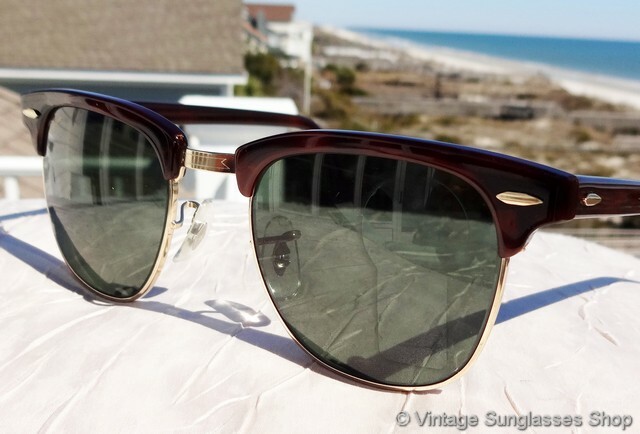 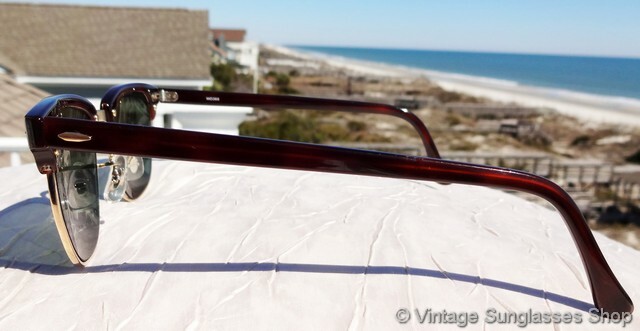 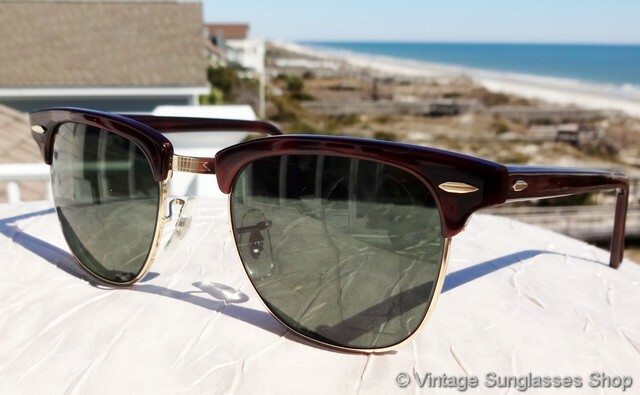 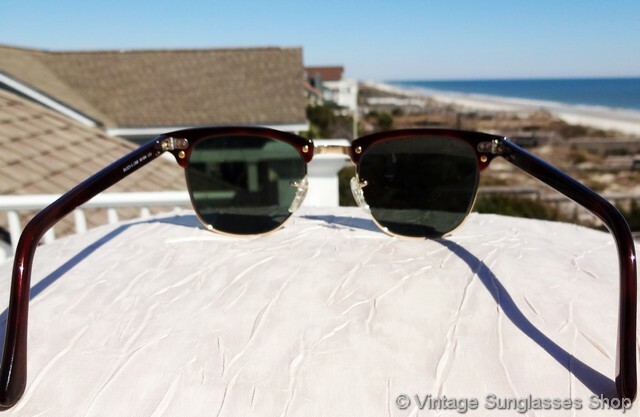 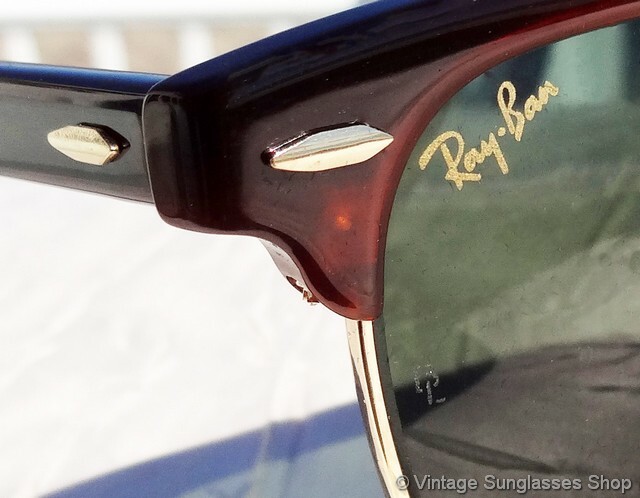 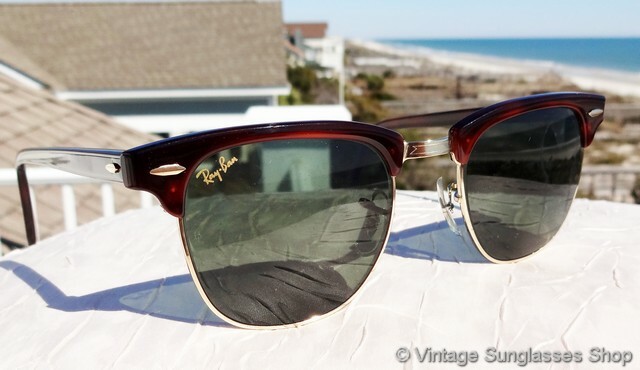 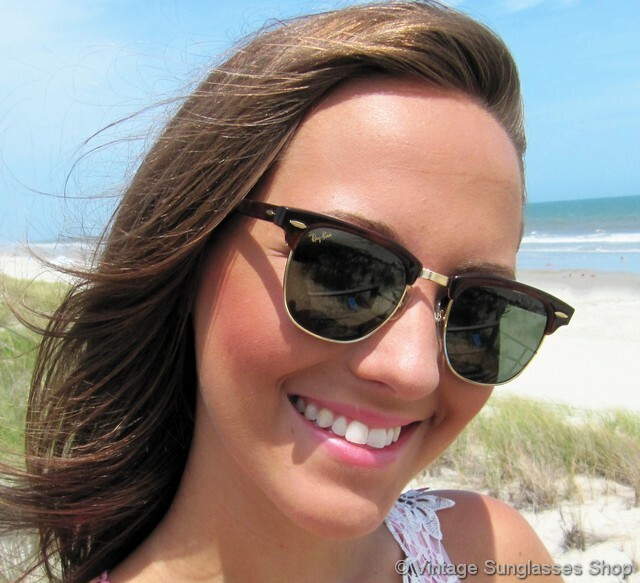 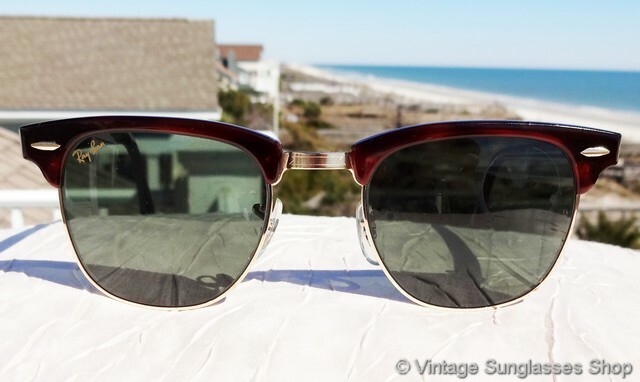 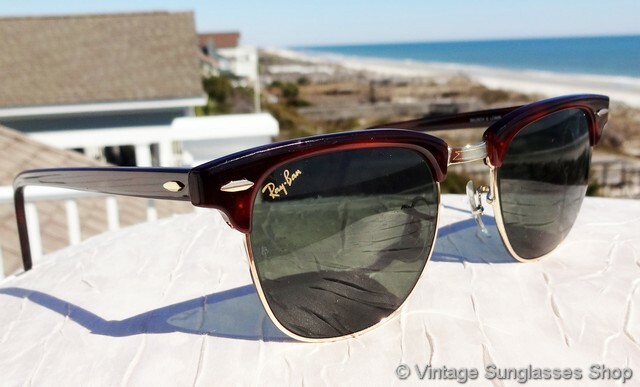 Vintage Ray-Ban W0366 Clubmaster sunglasses feature rich red tortoise shell top accents and ear stems that combine with gold and the Bausch & Lomb G-15 mineral glass lenses to create one of the most recognizable designs in the history of sunglasses. 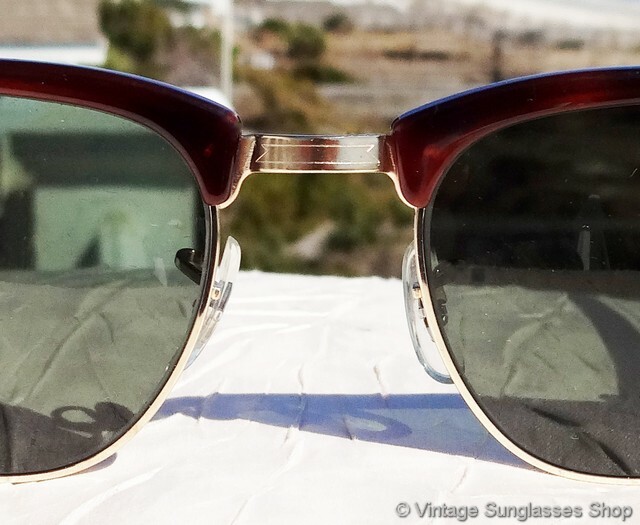 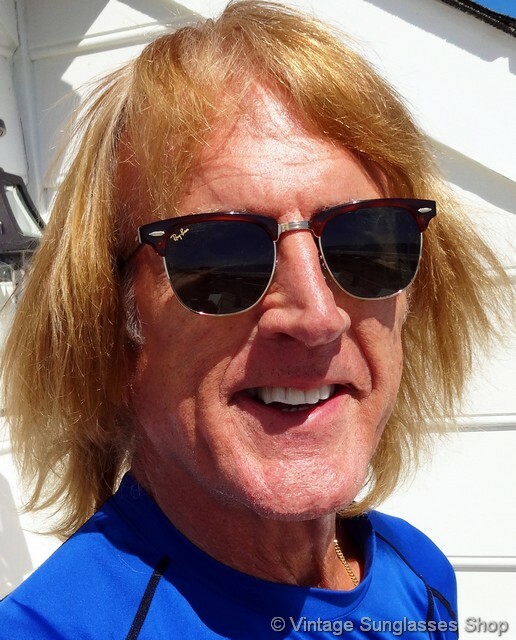 Among the many celebrities who have worn vintage Ray-Ban Clubmaster sunglasses perhaps none is more famously associated with the style than Jack Nicholson who is seldom seen in anything else. 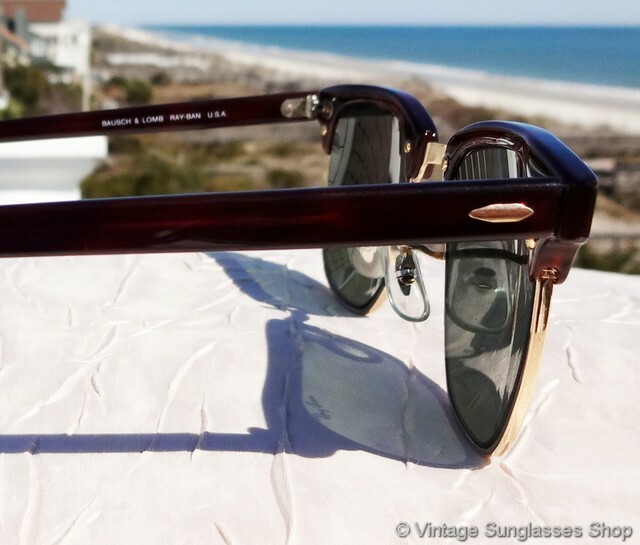 The unisex Ray-Ban W0366 Clubmaster frame measures approximately 5.25" temple to temple, and the B&L G-15 anti-glare glass lenses measure approximately 1.875" x 1.675" at the widest points with right lens laser etched Ray-Ban and both lenses laser etched BL near the hinges. 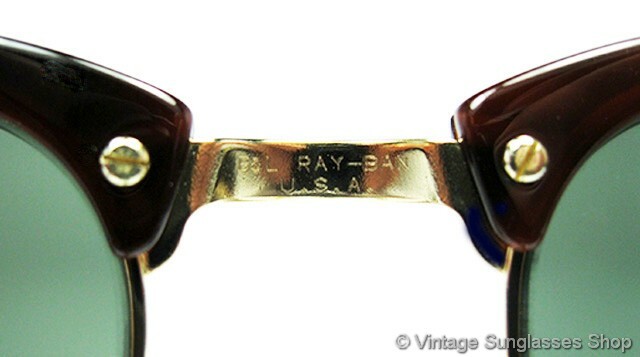 The inside of one ear stem is marked Bausch & Lomb Ray-Ban USA, one ear pad impressed W0366 VPAS (some production was marked W0366 on the inside of the ear stem), and the rear of the gold plated nose bridge is impressed B&L Ray-Ban USA, part of a major Sacramento, CA estate collection of iconic vintage B&L Ray-Ban sunglasses from the 1970s, 1980s, and 1990s.